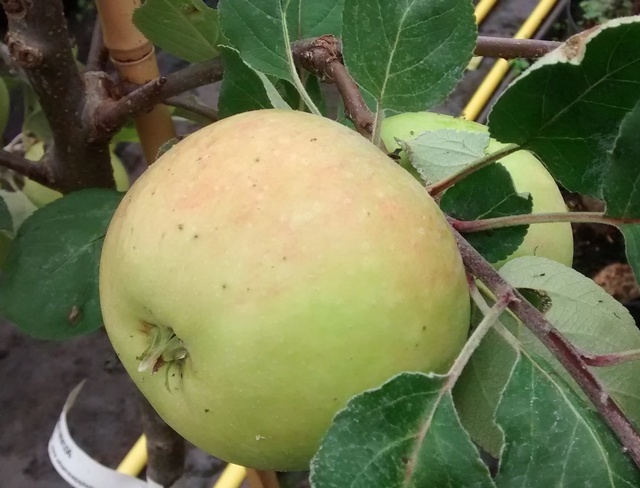 Three Counties - Cider Apple Tree £12.75 - Cider Apples - Bittersweet Apple Trees and Fruit Trees For Sale. Buy at competitive prices with wholesale discounts. A new bittersweet cider variety selected by the Long Ashton Breeding program of the early 1990s. Three Counties is an excellent early maturing tree, a vigorous grower with a good centre leader habit and regular healthy crops. Apples are ready to press by mid/late September and make a sweet juice, low in acid with a robust astringency.